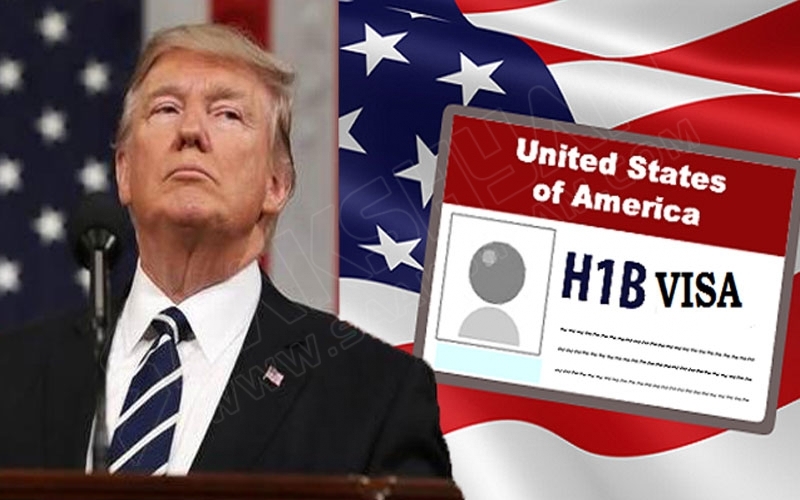 The H-1B allows skilled foreign workers who hold at least a bachelor’s degree to be hired by U.S. employers in a “specialty occupation.” The maximum validity of the H-1B visa is 6 years and it is issued in three (3) year increment. The regulations allocate a total of 85,000 visas per fiscal year, including 20,000 allocated to foreign workers with a U.S. Master’s degree. Each fiscal year, U.S. Citizenship and Immigration Services (USCIS) agency receives more petitions than there are available visas. For example, in the 2019 fiscal year, USCIS received 190,098 H-1B petitions and it had received 199,000 H-1B Petitions in the previous year (FY 2018). USCIS utilizes a lottery system to select first 20,000 U.S. master’s petitions and when those are exhausted to choose from the 65,000. As if the limited number of available H-1b visas was not enough of a challenge, in the past year, the H-1B visa petitions have increasingly become impossible to win. U.S. employers spend thousands of dollars to file the H-1B petitions which will either not be selected or denied. The last year has marked a record high of H-1B Petitions denials for positions such as Computer Systems Engineer, Software Developer, Financial Analyst, which are specifically listed in the regulations as qualifying. “Specialty occupations may include, but are not limited to, architecture, engineering, mathematics, physical sciences, social sciences, medicine and health, education, business specialties, accounting, law, theology, and the arts. “See 8 CFR 214.2(h)(4)(ii). For example, USCIS is denying the petitions stating reason of denial to be that a Software Engineer position is not “specialty occupation.” USCIS contends that since a Software Engineer position could require a bachelor’s degree in Computer Science, Software Engineering or related field https://www.bls.gov/ooh/computer-and-information-technology/software-developers.htm#tab-4 , it does not meet the H-1B standard because basically more than one bachelor’s degree could be required to perform the duties of that position. (B) attainment of a bachelor’s or higher degree in the specific specialty (or its equivalent) as a minimum for entry into the occupation in the United States. (ii) recognition of expertise in the specialty through progressively responsible positions relating to the specialty.”Immigration and Nationality Act (INA) Section 214 (i). The law clearly requires the attainment of a bachelor’s degree, equivalent or combination of education and work experience in the specific specialty and not in the “specific field.” Specific specialty may require various related fields of study as opposed to “specific field” which would limit the occupation to require a degree in one specific area of study. USCIS is also denying H-1B petitions for “high tech ” petitions stating that the position requires to perform “routines duties” incidental to the occupation! I do not know even what this statement means. If there is any position that required application of highly specialized knowledge most computer occupations are among those given the technical and constantly evolving knowledge required in those occupations. Nonetheless, USCIS is denying those petitions stating that anyone with a Bachelor’s degree may perform the duties of the proffered position! In addition to strictly applying the term” specialty occupation” and denying H-1B petitions which regulations specifically state qualify under H-1B positions, USCIS is strictly scrutinizing the H-1B beneficiary’s qualifications. Traditionally, to establish that a foreign worker qualifies for the H-1B position, one would submit to USCIS: copies of University/college transcripts with details of courses taken and showing four years of college in a field related to the occupation. In addition, copies of resume, work experience letters in the field, and/ or education and/or experience equivalency evaluation would establish qualifications. USCIS trend now is to look at the title of the Bachelor’s degree and it does not literally state, for a Software Engineer position for example, “Bachelor’s degree in Software Engineering, USCIS will issue a 10 pages boiler plate Request for Additional Evidence (RFE) questioning specialty occupation and Beneficiary qualifications. USCIS would even deny a petition stating that the beneficiary’s degree is not in the specified field even after the H-1B Petitioner provides a comparison chart showing all courses and skills required for the position and the courses taken by the Beneficiary plus skills learned during the four-year college education in the field related to the occupation. I will conclude by saying that the implementation of “Buy American and Hire American Executive Order” is limiting “legal immigration” and affecting U.S. employers’ competitiveness and bottom lines. This executive order not only has brought tougher and capricious scrutiny to H-1B Petitions but also to L-1 Intracompany Transferee petitions, and TN petitions. The Trump administration has created an invisible wall against “legal immigration” which it pretends to pioneer for. As Immigration Practitioners, we will continue to fight the abuse of power by the administration specifically the DHS and its agencies by advocating for the application of the statutes and rules governing different types of immigration benefits. Fiance Visa K-1 / K-2, B-1, B-2, L-1 Work Visa, E-1 Treaty Trader, E-2 Investor, P Visas, F-1 and more. Gasana is also a top H1B Lawyer in Houston! If you would like the advice of one of the best Houston immigration lawyers, please contact us or call our office at 281-809-5599 to schedule a consultation today.